Hello, all! I have a series of meaty posts in the works, but they're not quite ready yet, so let me tell you about the most recent visit I made for patterning at the Albany Institute. I've really been concentrating on outerwear, as there are so many extant gowns with interesting construction or trims or sleeves or cuts, but because I had the opportunity I took patterns from two chemises. They appeared to be on opposite ends of the book's era: one is very geometric, cut with shoulder straps forming a square neckline, while the other has body and sleeves gathered into a band to form a wide neckline. (Pictured above is the latter.) I'm not sure if they will actually appear in the finished book - it depends on how many gowns I want to include, and probably how much leeway there will be for adding more patterns than expected ... wouldn't a book of shifts/chemises, corsets, petticoats, and drawers be great? Hmm. 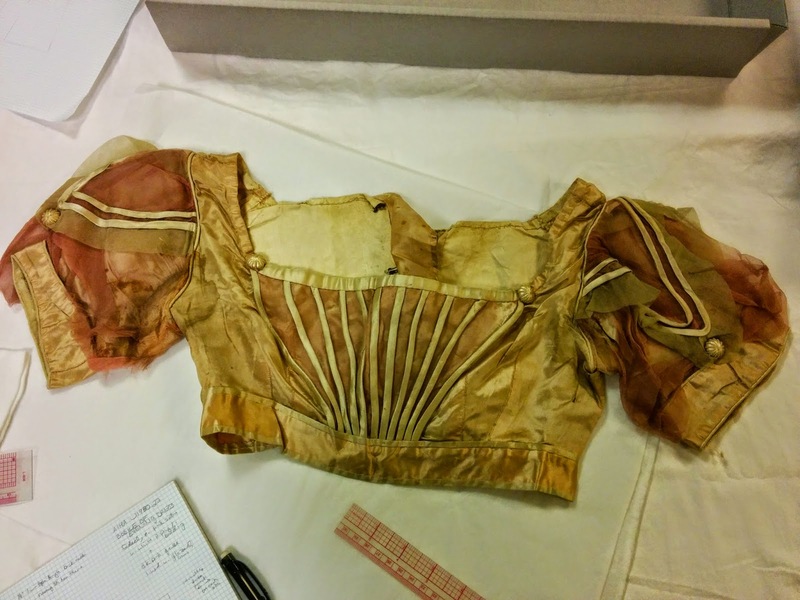 One of the things that really attracted me to this project was the prospect of making available garments that are just too delicate or damaged to display - like this bodice. 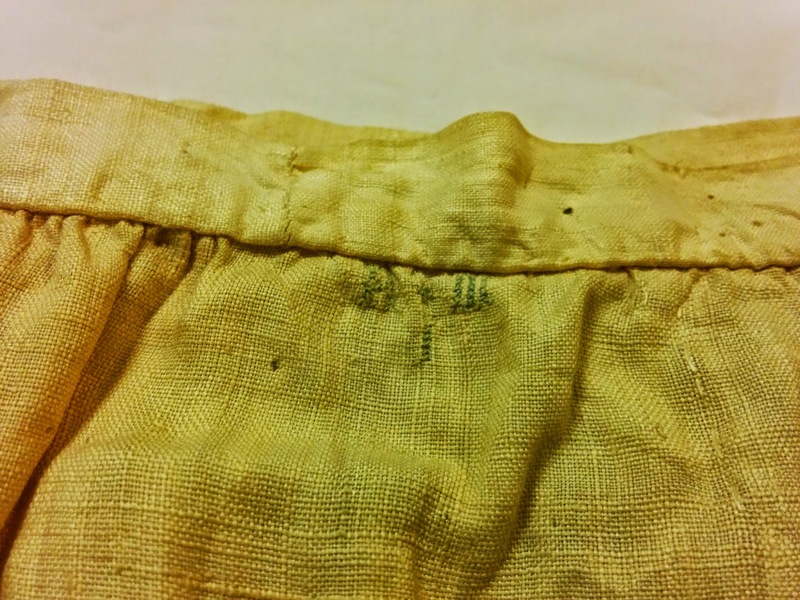 The skirt was removed at some point, perhaps so the fabric could be used in something else, the satin has faded to a dingy pale pink, and the gauze of the sleeves has been flattened and creased. When the gown was actually worn, it would have looked so different! I'm thinking of making a mockup of the sleeves so that my illustrator/mother can get a better idea of how they would have been shaped originally. But they're in the tradition of elaborate, layered and puffed early 1820s evening dress sleeves, and very interesting for those Jane Austen balls. 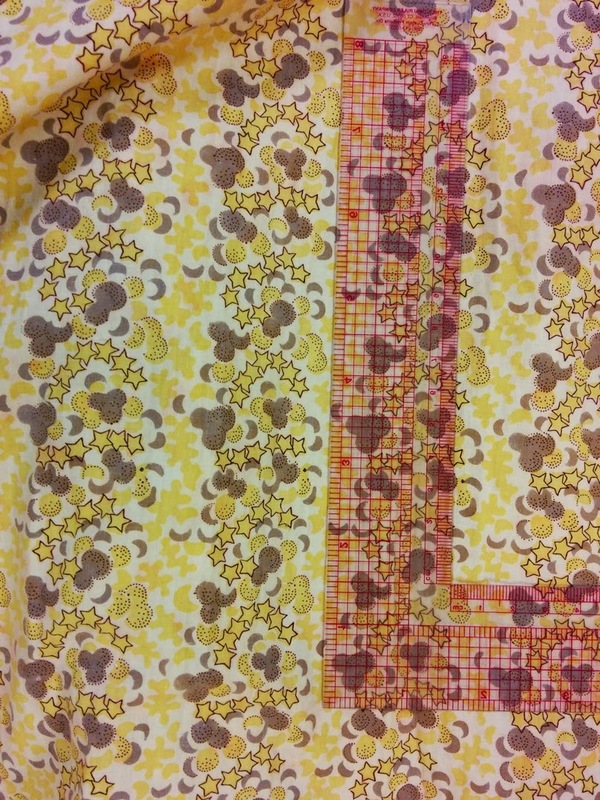 The above cotton print was used for a day or morning dress that I think will also be very interesting. It's a departure from the usual white muslin day dress, obviously, and it's decorated with a great many self-fabric ruffles. It's also a great example of a dress for a more buxom woman, with fairly wide bust darts. Oooh, watching your progress is so exciting! Isn't is so stunning, so breathtaking, so emotional, to be up close and personal with these garments? When I'm in the zone I'm really not thinking about anything but the process of reverse engineering itself, but when I'm picking out garments or photographing them - yes, definitely. 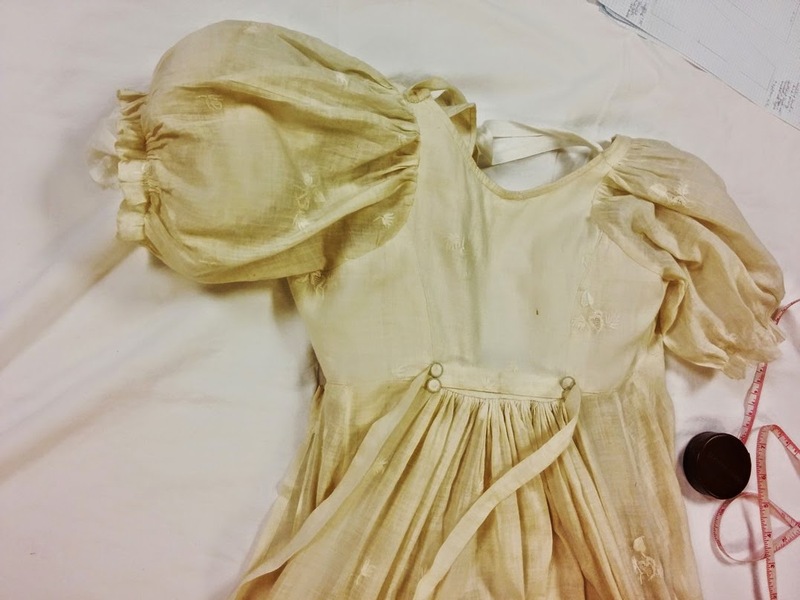 It's amazing to think that at one point, some yellowed or disintegrating piece of clothing was fresh and considered just normal dress, that there was some (usually very dainty) woman it was made for, who lived a whole life and died years and years before I was born. When I was at the Chapman, children's clothing gave me even more feelings. "when you look at antique garments up close, you start to realize that nothing is actually "ordinary": there's always something that sets them apart." It is amazing. When I was taking my 18th century patterns, I did come across two identical gowns - but apart from that, there was always something. The shape of the fronts, the skirt, the pleating, the cuffs ... I'm sure some of that is down to the small sample size, but given how universal aspects of construction were in that era, I was surprised. Fortunately, we have a lot of good photos from a lot of museums, and some patterns, and I think they help to figure out the normal range - although figuring out which combinations didn't happen is harder, since it requires noting so many traits and putting together the pieces from dozens of gowns and portraits/photographs. That's one of the reasons I'm excited about doing a book with such a small range of time: it gives me the opportunity to really look into these details. Gosh, it's looking very sorry for itself now, but in its day that bodice must have been beautiful. Yes, one of the things I'm really looking forward to is getting to see reproductions of these someday, and seeing them new and being worn.